I know I'm a lil late. But How did that astro sender and new wagon tank work together? Did your fuel gauge work correctly? I also have an 80 malibu wagon and making plans to hang a walbro 255 on the astro hanger with all new lines and and return. The wagon has been side-lined by another project, so I have yet to make this work. Thanks for keeping the thread alive. This is an impressive thread, and I genuinely admire everything you've been able to do with your wagon. My hat is off to you. But I cannot read your opening statement without responding. Before the humiliation of the minivan, there was the station wagon. Humiliation is what you make it. In my case, I spent five years bracket racing my (former) 1989 Dodge Caravan in my local track's street legal Heavy class, meaning I ran my FWD 2.5L turbocharged grocery getter against an entire field of RWD V8 American iron--Corvettes, Camaros, Mustangs, older muscle cars, you name it. I was quicker than most of the field, too... which was no doubt helped by Salt Lake City's atrocious air density, but, hey--I'll take every advantage I can get. My goal with my Grand Prix is to beat the 13.5x ETs my minivan would run. If I can do that, it will be the quickest car I've ever owned. 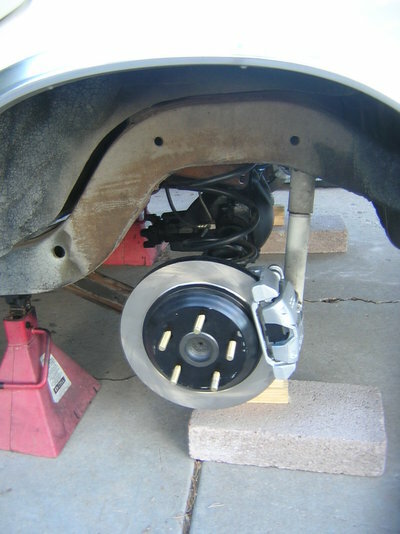 When it comes time for me to address my front suspension--which should be relatively soon--I'm sure I'll be PMing you. The photo of a track photo with time slip is PRICELESS. [QUOTSE="ssn696, post: 518632, member: 4260"]The wagon has been side-lined by another project, so I have yet to make this work. Thanks for keeping the thread alive. [/QUOTE]So you didnt get the wagon running? I REALLY want to find out all I can about the wagon fuel tank. I'm in the process of a walbro intank swap on my malibu wagon. I have a good excuse. Been working on this. Turning back time a little further. Time for an update before the thread times out. 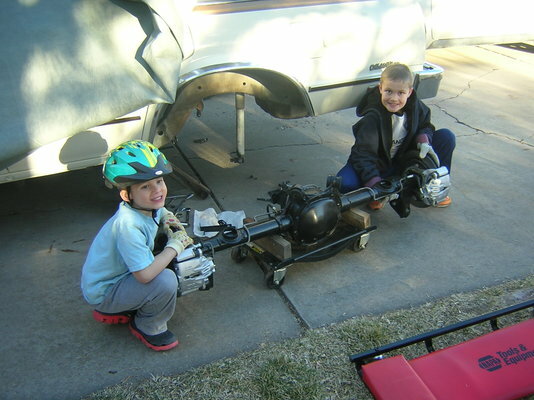 Back in February, the boys helped my hang the finished Auburn 3.73 with Camaro disc brakes. 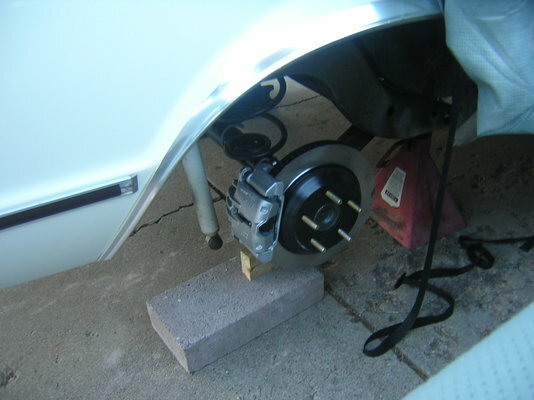 So the wagon axle has been sitting on blocks because I lacked a pair of brackets to 'turn' the shock mounts past the calipers. So I finally fabbed them from 1/8" angle. 1/2" holes for the bolts, with 3/16" holes for the roll pins that lock them from rotating under load. 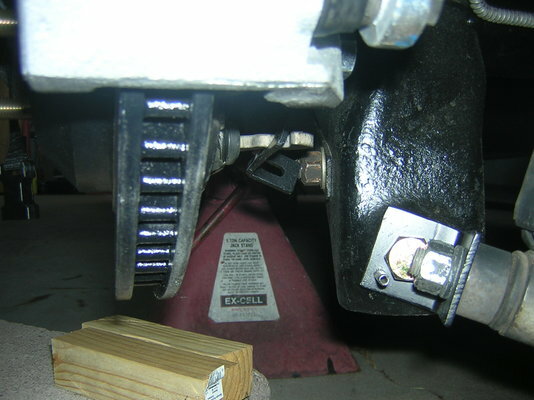 When installing the shock adapters, the bolt head into the axle bracket interferes with the shock bolt. So the trick is to insert the bolt (no washer) then put the shock bolt through and tighten the nut finger tight. 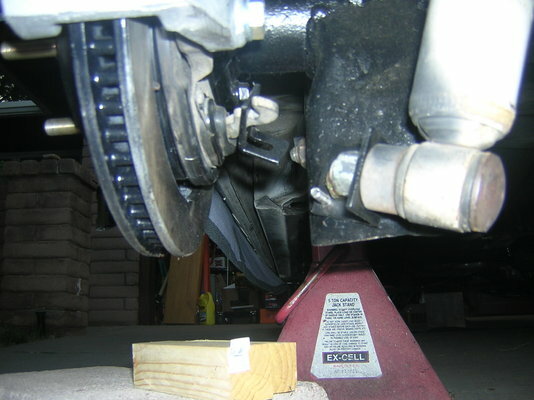 Then install the locking nut and washer onto the axle. There is just enough clearance to use an open end wrench on both fasteners. The shock adapter ends up at the same angle as the shock. After everything is tight, use the 3/16" roll pin hole as a pilot to drill the axle bracket, and tap in the roll pin. This ensures the adapter does not rotate under load. I am looking forward to having a lift some day. On my back in the dark is getting old. Or I am getting old and don't tolerate it so much anymore. One benefit of this hobby: there is no need for a gym membership when lifting, shoving and wrenching. Abs, pecs, lats. Yahoo! 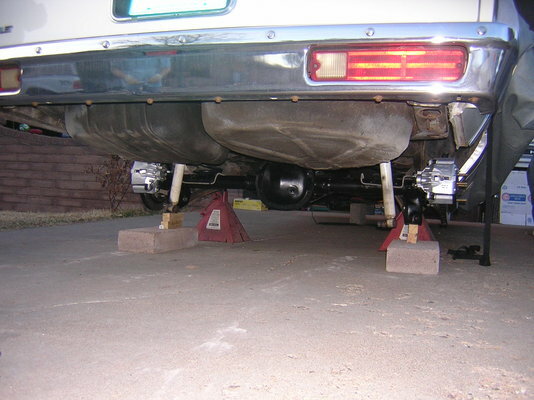 And more importantly, do you foresee any problems with the operation of the shocks rotating the lower mount like that? I'm thinking particularly when the axel articulates, when one wheel is much lower/higher than the other. Looking forward to hearing your thoughts and rationalization for this.